Roku has long controlled the set-top box streaming market with a variety of products but the company is now moving in the direction of Google’s Chromecast with the Roku Stick. Unlike its previous set-top boxes, the Stick will plug directly into a TV in order to make accessing content even easier than before. 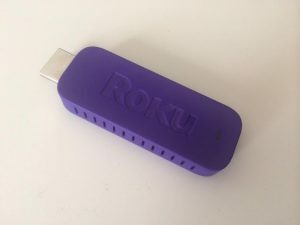 Even though the Roku Stick does cost more than the Chromecast ($50 vs $35) it is not tied to your smartphone and will likely come with access to more channels than what Google has been able to offer thus far. This means that for just $15 more, the Stick may be quite worth it. Since it failed to attain the same level of attention as the set-top boxes, the first iteration of the Roku Ready Stick (released in 2012) had many flaws. Now that the market has progressed and Roku has learned from its mistakes, this Roku Stick will presumably be much better and offer significantly more than what was available two years ago. The screen casting functionality built into the Stick will only work with YouTube and Netflix in the beginning, but other Roku partners may have the ability to update their services in order to provide support for screen casting in the future. Just like the set-top boxes, the Stick will also come with a physical Roku remote, something that many people will enjoy if they are using the product as a primary media consumption device. One of the primary differences between the 2014 Roku Stick and the Ready Stick from 2012 is that this iteration will feature HDMI support rather than a custom MHL port that was previously being used. Since all modern TVs come with more than enough HDMI ports, this connection method is more efficient. Pre-orders are already open for the Roku Stick and according to today’s announcement, the device will begin shipping sometime in April. Summary: Roku has announced a new device, the Roku Stick, which will compete directly with Google’s Chromecast. The Stick will plug directly into a TV via an HDMI port and will be available for $50 compared to the Chromcast at $35.